Lloyd’s of London is an insurance market located in the City of London. Its motto is Fidentia, which is Latin for “confidence.” Kerry London gained Lloyd’s accreditation in 2014 and we are one of fewer than 230 brokers worldwide to have achieved this status. Lloyd’s was founded by Edward Lloyd at his coffee house on Tower Street in 1688 and has its origins in marine insurance. Today it underwrites predominantly general insurance and reinsurance, although a small number of syndicates write term life assurance too. 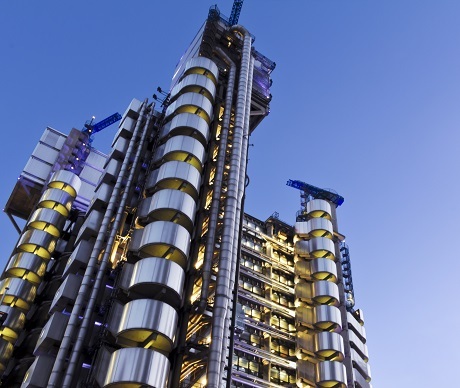 Unlike most of its industry competitors, Lloyd’s is not a company, it is a corporate body governed by the Lloyd’s Act of 1871 and subsequent Acts of Parliament. It serves as a partially mutualised marketplace where multiple financial backers come together to pool and spread risk. These underwriters, or “members”, are a collection of both corporations and private individuals, the latter being traditionally known as “Names”. In 2014, there were 94 syndicates that wrote £25.28 billion of gross premiums on business produced by 219 brokers. The year saw few catastrophic loss events, and collectively the market reported a pre-tax profit of £3.16 billion.